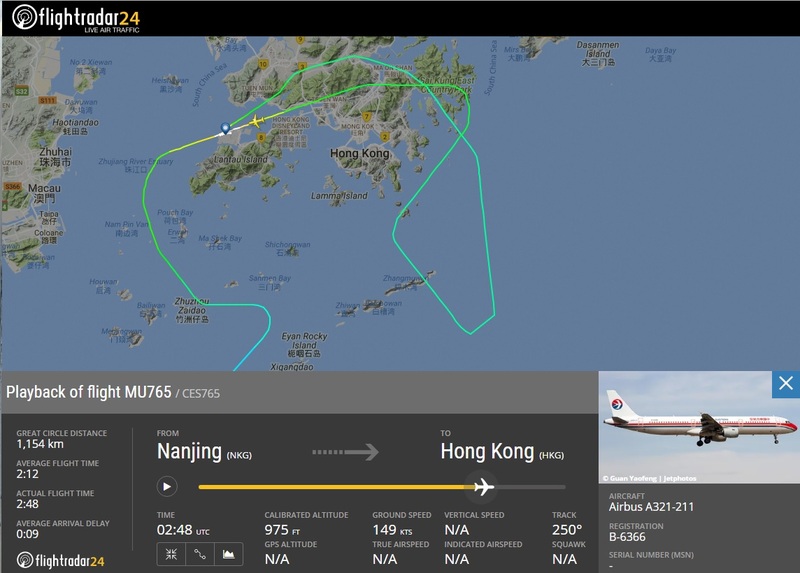 China Eastern Airlines flight MU 765 from Nanjing, abandoned its approach to runway 07L at 10:18L , likely for weather reasons, when the aircraft was on short final and repositioned for a reciprocal approach to the opposite runway 25L. 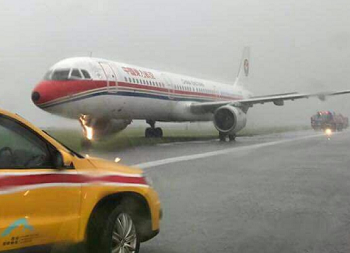 At the time local weather consisted of heavy rain and reduced visibility conditions. (METAR see below) A number of other aircraft also discontinued their approaches to runway 07L because of the weather situation. 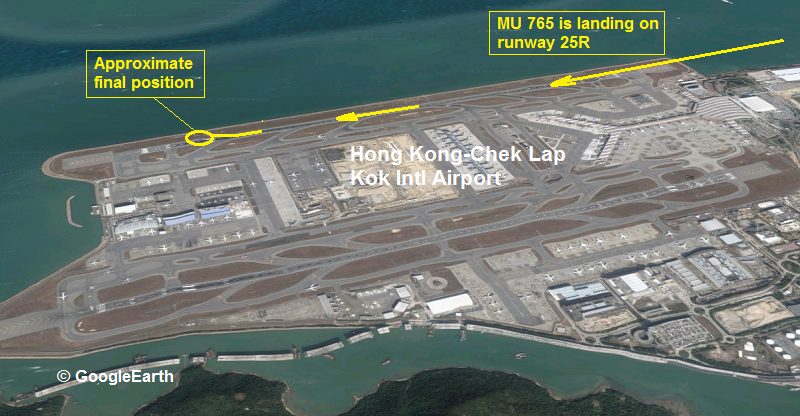 Immediately ahead of MU 765 was Hong Kong Airlines flight HX 453 (A320) from Chengdu that failed to land and was following a missed approach track. 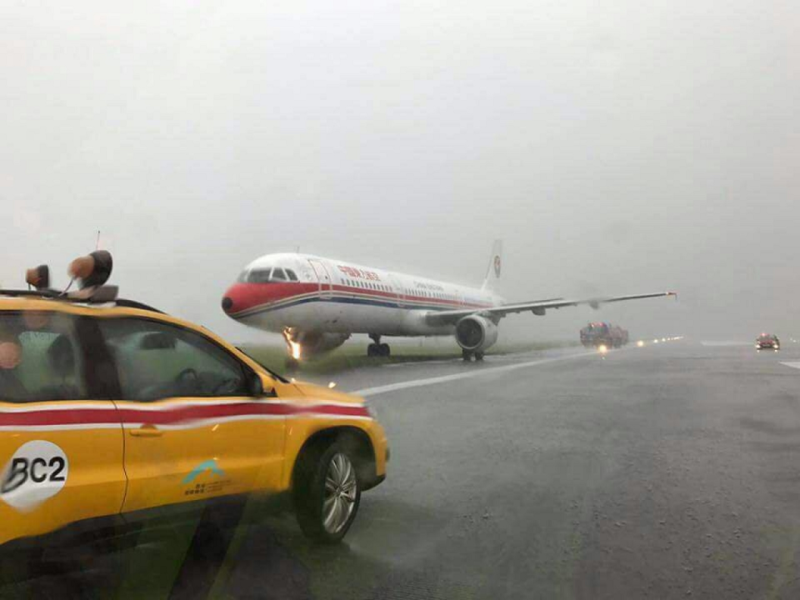 About 40 minutes later (at around 10:49L) the A321 landed on runway 25R but was unable to vacate to the left as air traffic control requested. Instead it drifted to the right and ran off the right shoulder of the runway until it came to rest with its nose and right maingear in soft grass between the „Alpha 4“ and „Alpha 3“ exits. 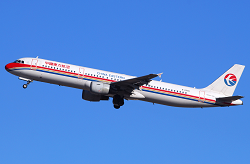 All passengers and crewmembers remained unscathed. 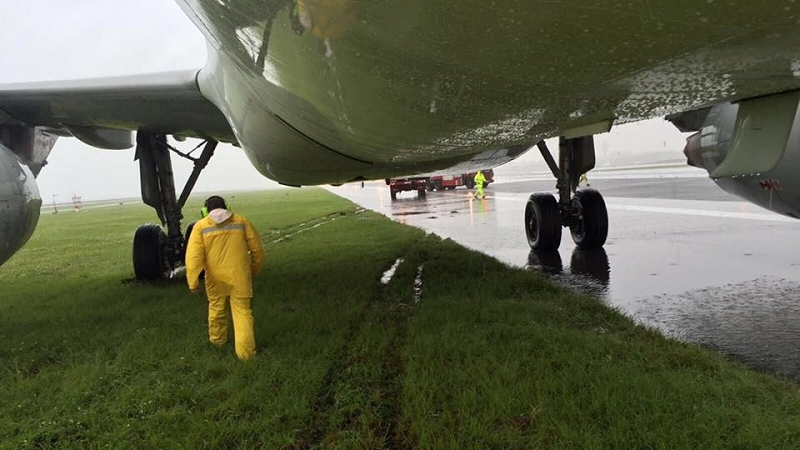 The runway was immediately closed for all traffic until the immobilized aircraft was removed about 2 hours later.